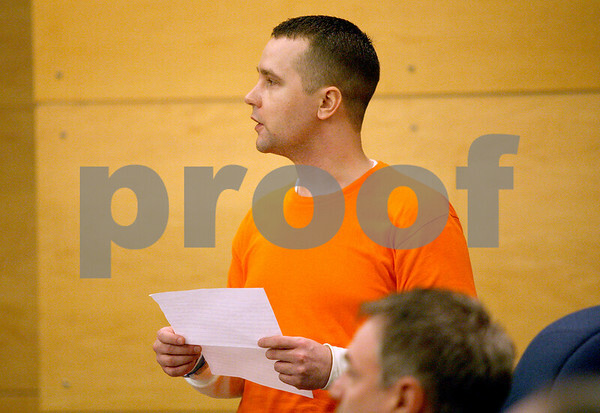 Benjamin Black stands up to read his prepared statement during his sentencing hearing at the Kane County Courthouse on Thursday, March 20, 2014. Black is convicted of aggravated driving under the influence in a 2013 crash that killed a Sycamore boy. "Not a day goes by that I don't think about Matthew," Black said. The judge delayed the sentencing to March 26.